In 1973 Sanofi was created as a subsidiary of Elf Aquitaine (French oil company) following its acquisition of the pharmaceutical company Labaz. In 1999 Sanofi merged with a former subsidiary of L’Oréal called Synthélabo, to create Sanofi-Synthélabo. 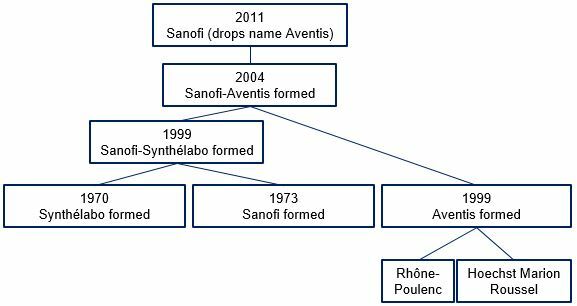 In 2004 Sanofi-Synthélabo merged with Aventis and changed its name to Sanofi-Aventis. However, in 2011 the company decided to remove the -Aventis suffix. Partly because Sanofi (on its own) is easier to pronounce in countries such as China. Sanofi is the result of several mergers and acquisitions.